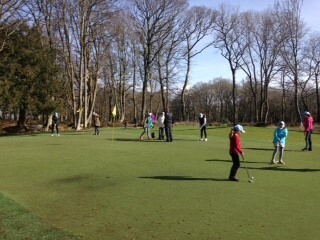 The first of the Girls’ starter sessions took place at Brokenhurst Manor Golf Club yesterday. Ten girls participated in the first group session and had a great time learning the basics from assistant PGA professional Matt Vineer. For others that may be interested in getting into golf it’s not too late to join the course at Brokenhurst or at any of the clubs offering sessions on various dates between now and the end of May.